One of my twin daughters has always been a worrier, she is one of those children who feel the weight of the world on their shoulders and she wants to know and understand everything. This can be particularly difficult for her as she is dyslexic and this means she struggles to accurately read information and has to practice or learn things dozens of times before they sink in. It would be so easy to label her a ‘natural born worrier’ but actually how would that help? All that does is give her story a strap line, something to trip over when she is older. I can imagine the conversations of the future now ‘well I can’t help it, I’ve always been this way. I’m just a worrier and I’ll never change’ but that’s not right. Of course she can change, we all can. But we have to want to change and purposefully make positive choices to allow it to happen. As a nine year old she probably isn’t sure what she can do to change it, she probably isn’t even sure how to name her issue. She just knows she has this uneasy feeling and needs to check things time and time again and that at the end of the day she often feels overwhelmed and teary. So as her Mum, I feel it is up to me to help her navigate this battlefield. I’ve had some run-ins with worry before although I’d never have labeled myself as anxious but I think that is just because it feels a newer ‘label’ to me or maybe it just wasn’t one my parents used and therefore I didn’t become accustomed to it. I do think anxiety is what my daughter is suffering with though and as such I’ve been doing some reading to find out more and see how I can help her. I’ve discovered that research (1) shows that many children are born with a shy or temperate personality and these are the children who will probably worry more. I was very glad to read though that it doesn’t have to affect adulthood as many vocations require the very characteristics that cause the worry and that management strategies are available. One such strategy that is working for my daughter and I is that I sit with her at the end of the day just for ten minutes and she tells me what is worrying her. We tend to find that the moment her head hits the pillow all the worries of the day rush in and overwhelm her and she is building courage and boldness to tell me about these anxieties and I can take them away with me. It is such an eye opener to realise some of the issues, guilt and situations she has been carrying with her for days, weeks or sometimes even years. Things I had long forgotten arise their ugly head and take over her thoughts but she seems to be able to trust me and allow me to reassure her or sometimes solve the issue. It’s amazing, things that can seem massive to a nine year old can actually be the easiest things for me to deal with. There are some things I can’t deal with though and if she gets herself really wound up, we just sit there and cuddle and deep breath, allowing her body to calm and the hormones to subside and then we talk through how likely (or very often unlikely) it is that something will happen. For example, last week she bought 4 animal shaped erasers and whilst in the shop she decided to swap the pink one for a white one (same price) but instead of her asking the cashier she just did it. Nothing really wrong there as she had paid (and had the receipt) but courtesy and self-preservation would say you’d normally ask first to avoid looking suspicious. I wasn’t with her when this happened, she was out with my husband but it was troubling her enough by bedtime that she broke down and told me the police would be coming to find her. I found out the story and reassured she had done nothing illegal and we talked about how busy the police are and we talked over a theft situation she knew of where the police had not really investigated as it was too small in comparison to other crimes. It took about fifteen minutes but the combination of listening without judgment, cuddling to soothe and then logic to beat the anxiety worked for her and she was able to go off to sleep easily. The other thing we have been doing is turning to her bible and looking for reassurances from God. She has already made a commitment to follow Christ and as such has a deep belief and it has been fabulous helping her unearth bible verses that speak directly to her insecurities. Versus like the following have been a great success and I have been enjoying putting notes in her lunch-box, under her pillow and stuck on her mirror to catch her at different times of the day. Another method I’ve come across that sounds really good is the three C’s (2). This means helping your child to Capture their worrying thought, Collecting evidence to either support or bust it and then Challenging their own thinking. Sometimes my daughter seems so scared by a thought that comes in her head that she just wants to push it down and not spend a moment thinking about it but this method demands that we give the worry some space and investigate whether it’s really something to be concerned about. There are many other small strategies we are putting in place as well, like focusing on the positives and all the family share their successes at the dinner table each day, so we can remember to build each other up and acknowledge the good we have done. Then after we also share a mistake we have made and this is important for us all; to be mindful that results only come when we are willing to make an effort and sometimes fail at whatever it was we were doing but resilience and the guts to try again and again are super important. I pray that through being open and real with our children, showing these imperfections my husband and I are able to model acceptance and love and this creates an environment where anxiety cannot grow. As the months and years pass I’m sure I’ll learn new strategies and my daughter my not even need them any longer but for now if you have any tips on helping a child with anxiety, I’d love to hear them and please do leave me a comment. Do you have an anxious child? What are some ways in which you help them cope? 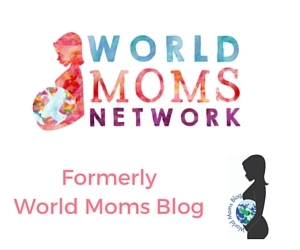 This is an original post for the World Moms Network by Michelle Pannell, who can normally be found blogging over at Mummy from the Heart and Progress Not Perfection. Michelle’s tales of everyday life and imperfect parenting of a 13-year-old boy and 9-year-old twin girls and her positive Christian outlook on life have made her name known in the UK parenting blogosphere. Her blog, Mummy from the Heart, has struck a chord with and is read by thousands of women across the world. Michelle loves life and enjoys keeping it simple. Time with her family, friends and God are what make her happiest, along with a spot of blogging and tweeting, too! Michelle readily left behind the corporate arena but draws on her 25 years of career experience from the fields of hotel, recruitment and HR management in her current voluntary roles at a school, Christian conference centre, night shelter and food bank. 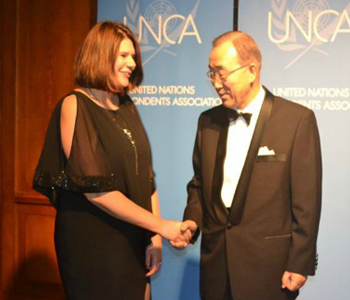 As a ONE ambassador, in 2012 Michelle was selected to travel on a delegation to Ethiopia with the organisation to report on global poverty and health. Then in 2014 she was invited to Washington, DC, where she attended the AYA Summit for girls and women worldwide. When asked about her ambassadorship with the ONE Campaign, she stated, "I feel humbled to be able to act as an advocate and campaigner for those living in poverty." These are some great tips, I find that the 3 C’s helps when I am feeling anxious. Hi, I think anxiety is children is an important issue so thanks for writing about it. My daughter struggles with this when she gets sick or a cut or lose tooth etc and we are learning to deal with it. Thank you for writing about anxiety. I think those 10 minutes that you’re spending with your daughter talking about her fears are so important! I have a go-to site for reading up on anxiety called Hey Sigmund: http://www.heysigmund.com. It has been really helpful over the years!